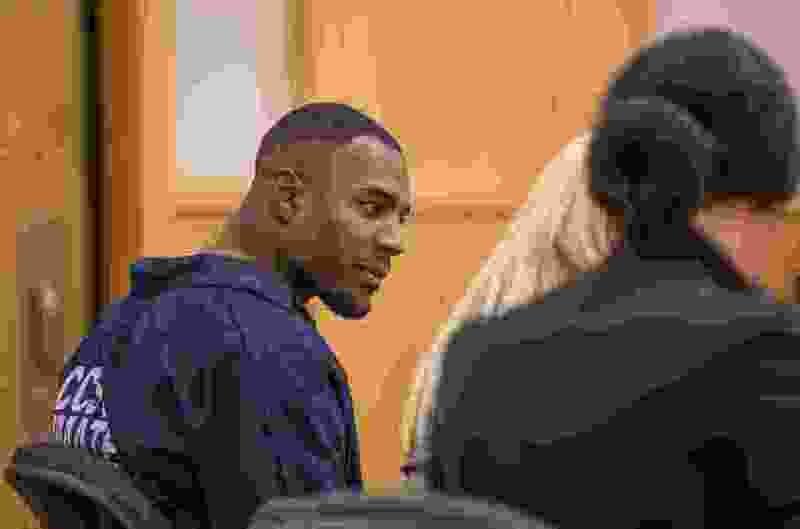 A judge has ruled that six of the seven women who have accused former Utah State University football star Torrey Green of sexual assault will be allowed to testify at one another’s trials. Green is charged in 1st District Court with 12 felonies in connection with the testimony of seven women who say the athlete sexually assaulted them when he was a student in Logan. Each case has been filed in court separately, and prosecutors have said each case will go to trial individually. But they have asked Judge Brian Cannell to allow them to present evidence and testimony from each of the seven alleged victims at the respective trials. In a written ruling filed Thursday, Cannell said there were enough similarities in six of the seven cases to allow their testimonies to be heard at the other trials. Cannell noted several similarities between the cases in his ruling: Four of the alleged victims said they met Green on the dating app Tinder. Six of them testified that they were assaulted during their first time alone with the defendant in his apartment. Five women reported that Green put on a movie before the alleged assault. And five said Green had told each of them “she would enjoy it.” All, the judge wrote, said they verbally and physically communicated with Green that they did not consent. “The court finds that this testimony of the events is highly similar to the others,” Cannell wrote about one alleged victim’s testimony. But there was one woman’s testimony that was not similar to the others, Cannell wrote in his ruling. In her case, she testified that she did not meet Green on Tinder, and said she was assaulted during her third meeting with the defendant. She also testified that she was assaulted during a party at Green’s apartment, while others were present. Cannell said because of these differences, her case did not “fall into the same general category” as the other accounts — and he ruled evidence from her case can not be heard at the other trials. The judge noted that his ruling does not “minimize” that alleged victim’s allegations against Green. Deputy Cache County Attorney Spencer Walsh said Friday that prosecutors agree with the judge’s decision. “We appreciate the courage that these women have demonstrated in both speaking to law enforcement and testifying in court about their experiences,” he said. Skye Lazaro, Green’s defense attorney, declined to comment Friday. Prosecutors had asked for the evidence to be admitted under what’s called the doctrine of chances, a legal rule that allows evidence of other bad acts to be presented at a trial to show it is unlikely that a defendant would be innocently involved in similar situations repeatedly. Several of the women publicly aired allegations in a Salt Lake Tribune story published in July 2016, just after Green had signed a contract to play football in the NFL. Each of the four women included in the July 2016 story had previously reported their alleged assaults to police. The Tribune’s reporting prompted Cache County prosecutors to re-examine sexual-assault allegations lodged against Green in 2015. Other alleged victims have come forward, and since July, prosecutors have investigated at least 15 sexual-assault allegations against Green. Green, 23, has pleaded not guilty to all of the charges. He is being held in the Cache County jail without the opportunity to post bail. Trial dates have not yet been scheduled.